Spring has officially broken this week and The Body Shop have a collection soon to be released that will have us all reminded that a lot of things will be grown, smelling fresh and gardens looking like a colour war. 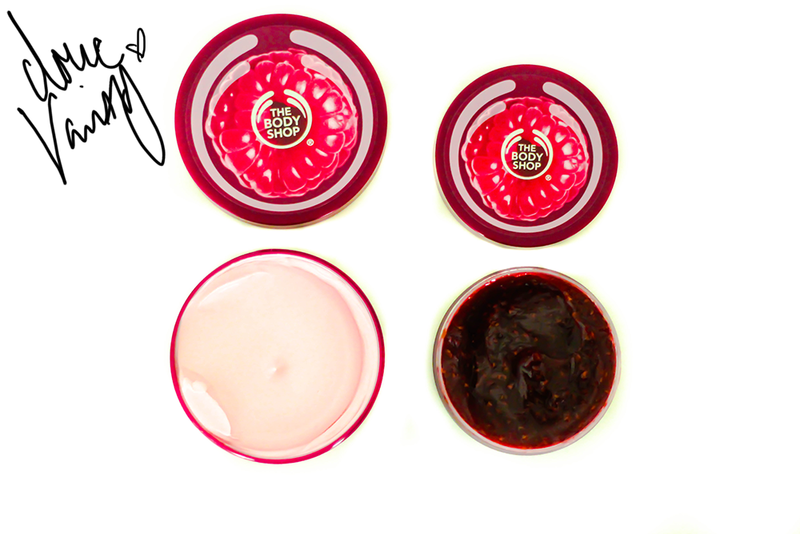 I have a body scrub & body butter here, the body scrub reminds me of Jam, it's texture and appearance scream, raspberry jam!! The scent of this body scrub lingers on the skin after I've exfoliated, softened and brightened up my skin. Just the look of this makes me want to eat it and I don't even do jam. I read a post this week that had alerted me that the body shop butters & moisturisers contain parabens within the ingredients list. Quite disappointing to say the least, I checked a miniature body butter I had got and lo and behold! It had the ingredients Proylparaben & Methylparaben. I did check the ingredients for this latest body butter and there isn't any parabens but there is dimethicone for future reference. If your not sure about the Bens, when in doubt, leave it out & of course just check the ingredients list before purchase, it's what the peel back is for. Eau De Toilette 30ml £8.50 - seriously will have to pick up the EDT, not that my perfume holder can take anymore but what the hey! Wow that sounds like a great collection. I have to visit the body shop to smell this when it comes out! Expecially the Eau De Toilette sounds nice. It's a shame that there are parabens in there, I wouldn't have thought that there would be. Nevertheless the original raspberry range is lovely, I'm curious to see what this one smells like and if it is any different. i also read that post, and my heart just broke. i've been an avid fan of the body shop because of their vegan views (though i ain't one) and their stand against animal cruelty. smh. i haven't checked my stash if they are paraben free or not, but i guess i won't be surprised if i saw it because of that eye-opener blog post. Me too, I was a little disheartened when they sold out to L'Oreal and I've noticed some of their products don't carry the bunny logo much or at all.